What are you up to tonight? Are you at the Oakland Coliseum? Hmmm...are WE? 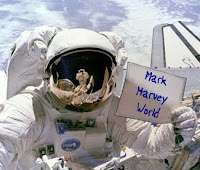 Well, we made it through another year at Mark Harvey's World. This was a good year filled with all sorts of great things. I could recap it all, but I won't...I'd rather keep celebrating the turn of a new year. 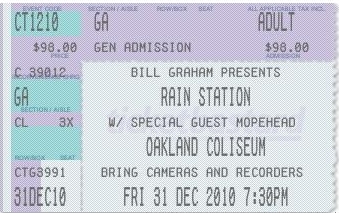 Well, Rain Station is ready for 2011 are you? We're heading for big things in this New Year. Join us for the ride! Today my family will make an annual trek to the coast and enjoy what our lovely coast has to offer. Rain or shine this has been a family tradition for years.